[vc_row][vc_column][vc_column_text]Weddings abroad are becoming more and more popular. Often costing a fraction of a UK wedding, they allow you to affirm your love for one another surrounded by family and friends in a breathtaking destination. Our Specialist Wedding Team help you every step of the way, creating your perfect wedding abroad has never been easier. 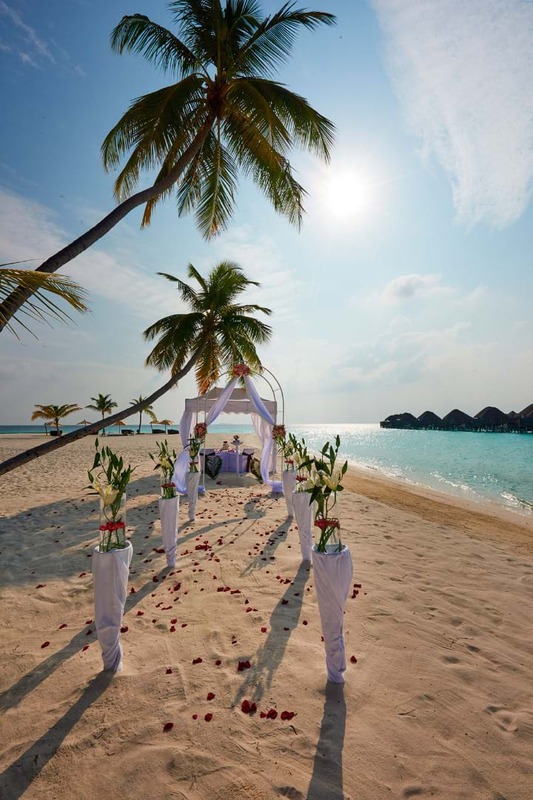 More and more couples are choosing a wedding abroad – it’s cost-effective and gives you the chance to say your vows in a picture-perfect destination. Our aim is to achieve that perfect day, making sure everything goes to plan. A marriage performed in Mauritius is legally recognised by British Law. The civil ceremony is similar to any British Registry Office ceremony. There is no legal obligation to register the wedding in the UK although it can be done through the British Consulate in Mauritius for a nominal fee. Civil ceremonies may take place any working day, Monday to Friday, excluding Public Holidays and subject to the agreement from the Hotel and the Registrar. The couple must go to the Main Registrar’s Office to sign an affidavit 24 hours prior to the wedding. Couple to be on the island 15 days prior to the ceremony taking place. If you intend to marry within 10 months of the divorce pronouncement, you will need a local doctor’s certificate of non-pregnancy.